Intercultural research synthesizes an abundance of approaches that deal with cultural contacts, perceptions and differences. Often it takes place under the assumption of conditions that have been strengthened by established research discourse. This volume tries to make new approaches fruitful for the discourse’s further development, as it deals with paradigms that are indispensable for a deeper, adequate research situation. 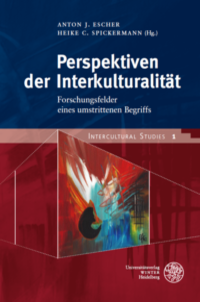 In the paradigms, brought in for discussion, there are perspectives from cultural psychology, issues of untranslatability, transcultural metaphors and translation, historical aspects, multilingualism and multiperspectivity, the indexing of different fields and meanings of world literature, globalization, global dialogism and ,globality’ cultural studies, intercultural humanism, cultural imperatives, challenges of cultural understanding, for example, the comprehension of 'time' and its translation, transnational biographies, the terms intercultural, transcultural, transnational and the concept of culture.